Animated flying white 3d music notes in 4k. Transparent background - Alpha channel embedded with 4k PNG file. hd00:14Animated flying white music notes on transparent background (upward). Each music note is a 3d model with light reflection on surface. (Alpha channel embedded in HD PNG file). 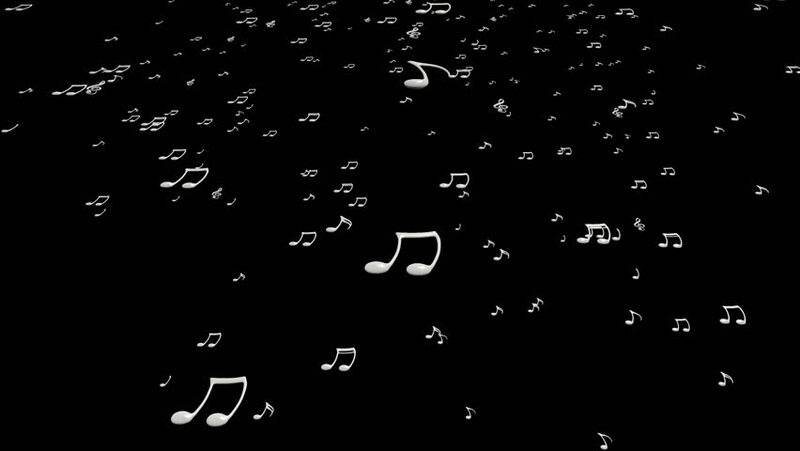 hd00:13Animated flying white music notes on black background (upward). Each music note is a 3d model with light reflection on surface. hd00:14Animated falling white music notes on transparent background. Each music note is a 3d model with light reflection on surface. (Alpha channel embedded in HD PNG file). 4k00:14Animated falling white 3d music notes in 4k. Transparent background - Alpha channel embedded with 4k PNG file. 4k00:14Animated flying colorful 3d music notes in 4k. Transparent background - Alpha channel embedded with 4k PNG file. hd00:13Animated flying black music notes on white background (upward). Each music note is a 3d model with light reflection on surface. hd00:10This Background is called "Broadcast Rising Music Notes 09", which is 1080p (Full HD) Background. It's Frame Rate is 29.97 FPS, it is 10 Seconds long, and is Seamlessly Loopable. 4k00:10This Background is called "Broadcast Rising Music Notes 09", which is 4K (Ultra HD) (i.e. 3840 by 2160) Background. It's Frame Rate is 30 FPS, it is 10 Seconds Long, and is Seamlessly Loopable.